Recently I decided to purchase a Mac and start a blog to empower Mac users who also use Office 365. 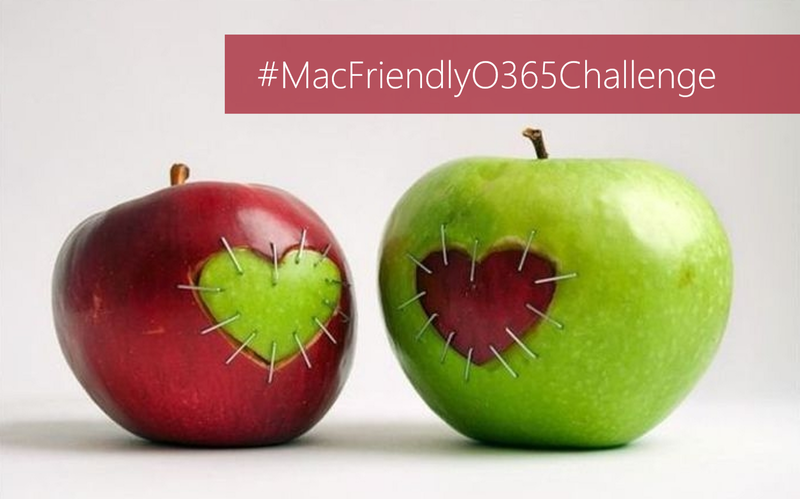 You can read about my #MacFriendlyOffice365Challenge here. As these blogs will be written on Medium (not WordPress) under my Mac Friendly Office 365 Publication, I will try my best to index the blogs here for your convenience. 6 March 2017 Adobe Acrobat Reader DC is one of my favourite tools and I was very happy to see that I could still use it on my Mac. 5 March 2017 As promised, I’ll be sharing with you the journey of pain, laughter and surprises — #MacFriendlyO365Challenge, one baby step at a time. Today I looked at installing / configuring Office, Outlook, Teams, Groups, OneDrive, OneNote, Yammer & Skype for Business.